The Donovan colour team are mad about colour! This comes as no surprise with Tina Donovan the salon owner working for Matrix colour brand as a colour technician. 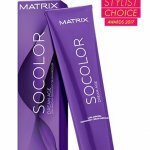 Tina is a colour technician for matrix and has been working with them for 12 years. She shares with us ” Getting your colour right and having the confidence in trying something new really comes down to having a knowledgable colourist with the best application and a strong creative mind for colour. Colour can have a huge impact on how you look and feel. New clients often want to try something new but don’t always know what suits them. As our loyal clients would agree we will alway share with you new ideas and trends for you to try. At Donovan hair and beauty we take our time listening, giving advice, looking at your skin tone and creating the very best colour to suit you. 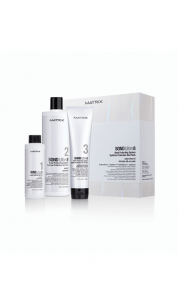 Permanent haircolor that maximizes high-definition color results with minimum stress to the hair’s cuticle. 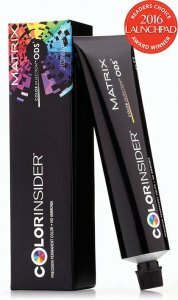 A no-ammonia, permanent haircolor that maximizes high-definition color results with minimum stress to the hair’s cuticle. The shade palette offers vibrant reds, cool modern neutral tones, and rich browns, all with 100% grey coverage. Your hair will be smoother and shinier. The formula acts as a buffer for the alkaline agents in the lightening process that preserves the bond while allowing the lightening to continue to happen. SOCOLOR is the first color line that offers Cera-Oil conditioning complex that remains in the hair for up to 30 shampoos – constantly strengthening hair even in between touch-ups. SOCOLOR not only cares for hair during touch ups, but in between as well!